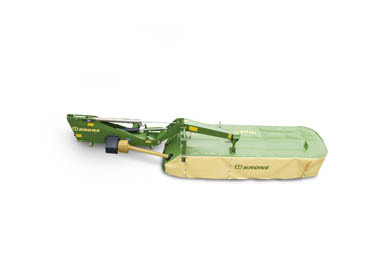 With models of 2.71m’s, 3.14m’s and 3.6m’s the EasyCut R range is the perfect rear linkage mower for the commercial farmer or contractor. Compact, balanced and over the centre transport position provides excellent weight distribution and visibility for travelling between fields. Compact, balanced and folding over centre transport positions means excellent weight distribution and visibility when on the move. 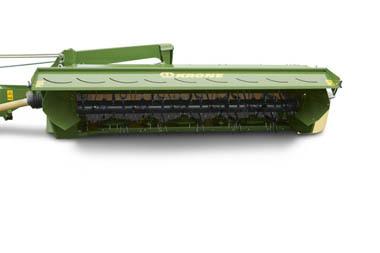 Krone mowers use strong gearboxes with shafts and cluthes instead of belts. This strong direct drive ensures the highest productivity and less down time.